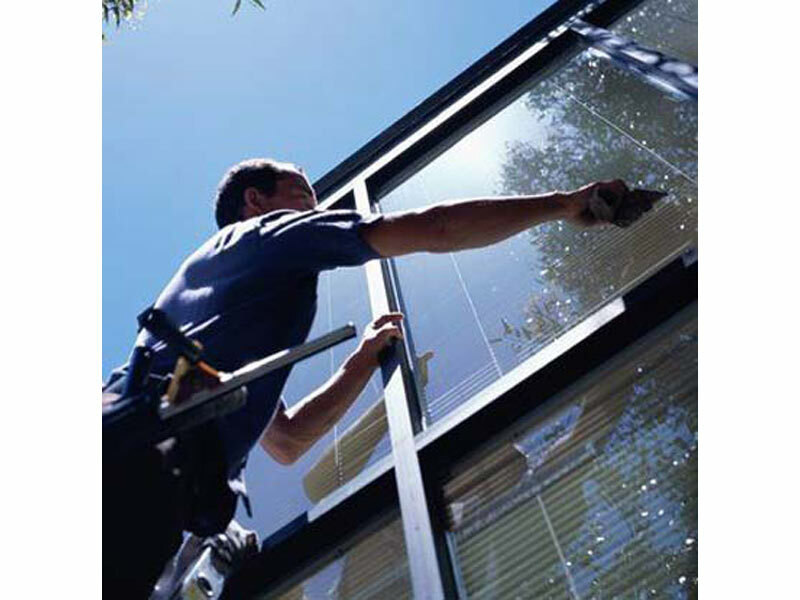 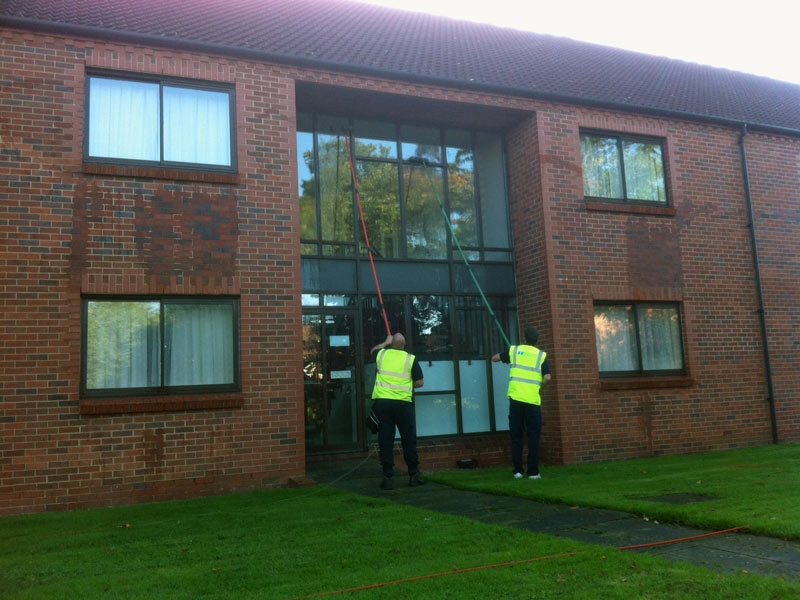 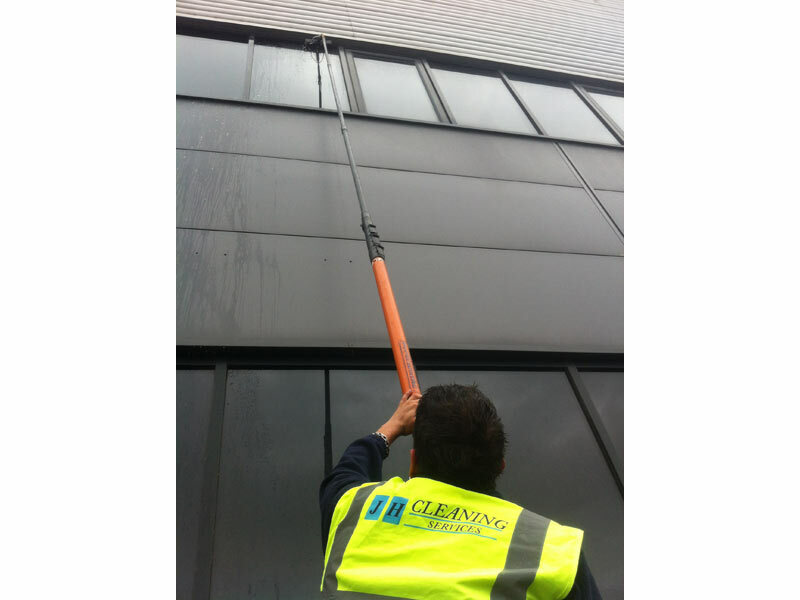 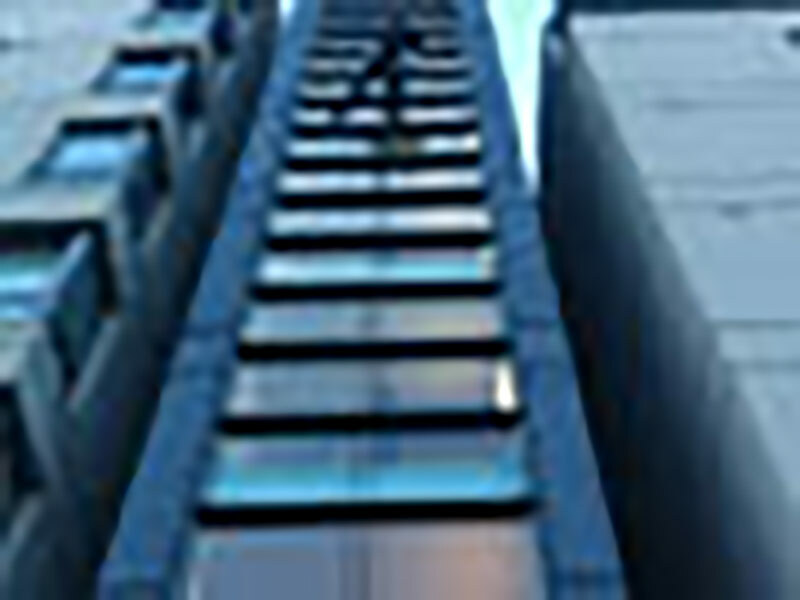 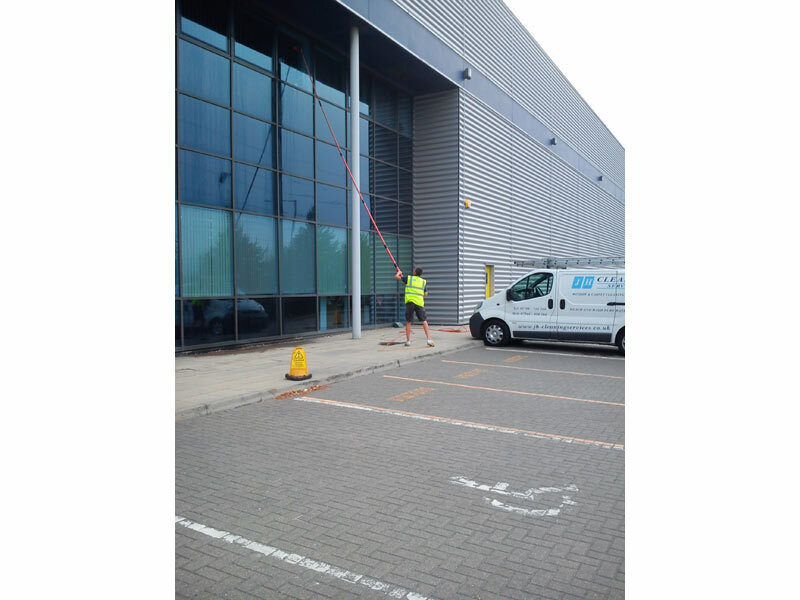 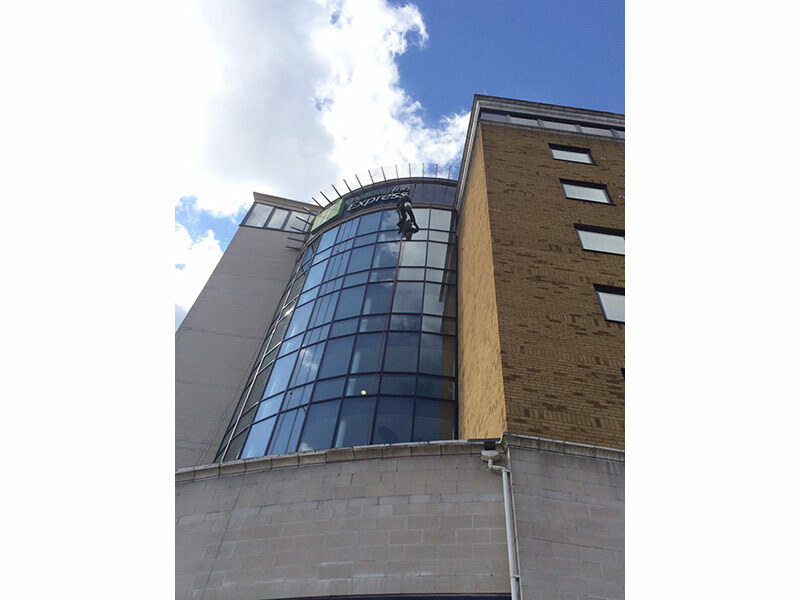 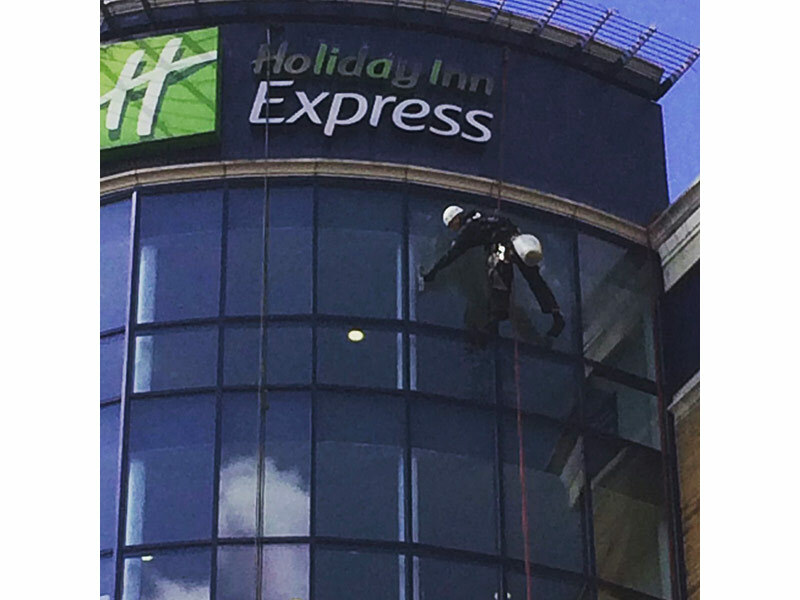 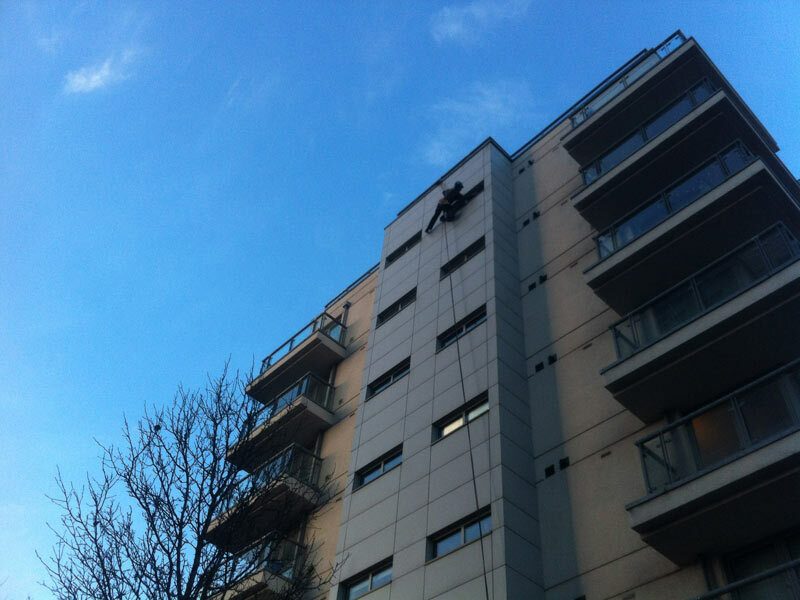 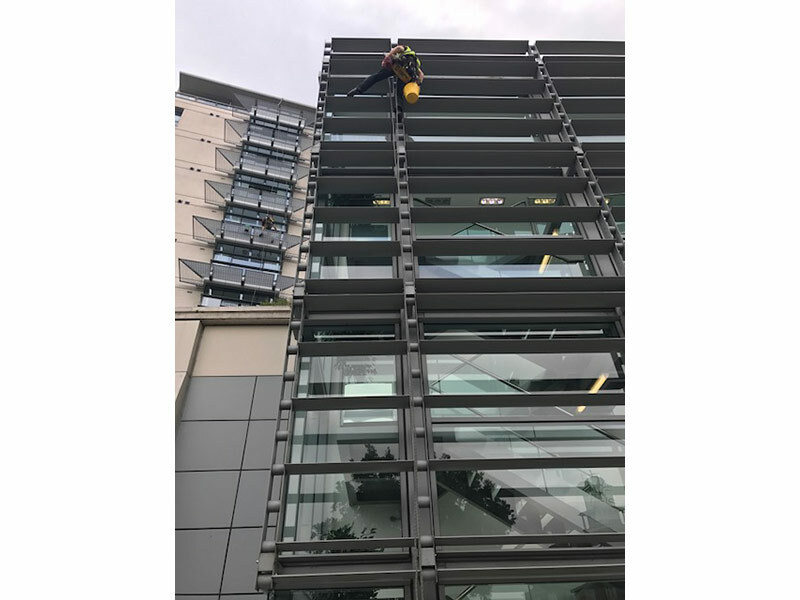 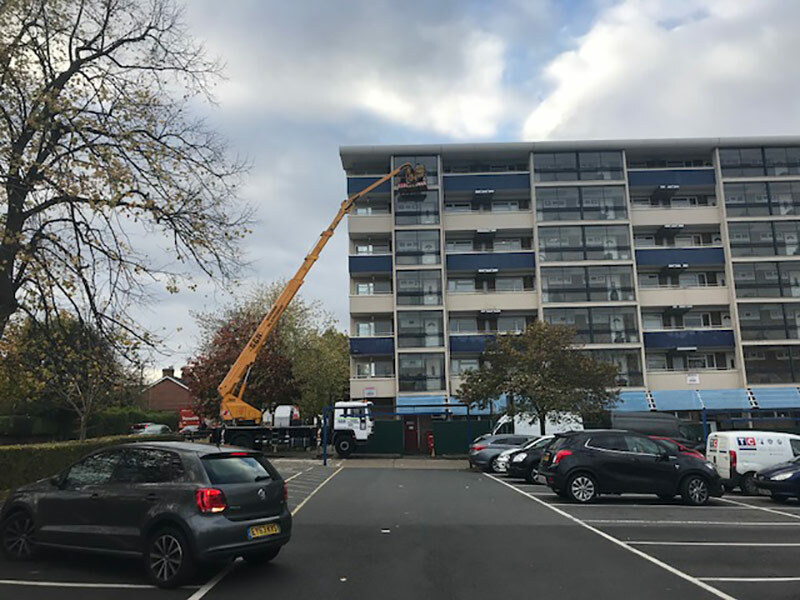 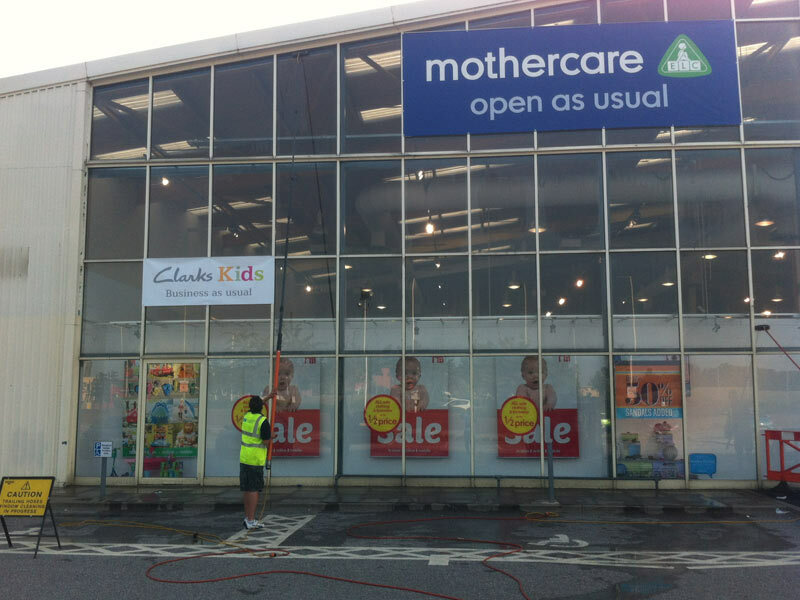 Reach and Wash window cleaning is one of the most popular methods of commercial window cleaning for offices and buildings as it can save your company money by eliminating the cost of hiring expensive access equipment. 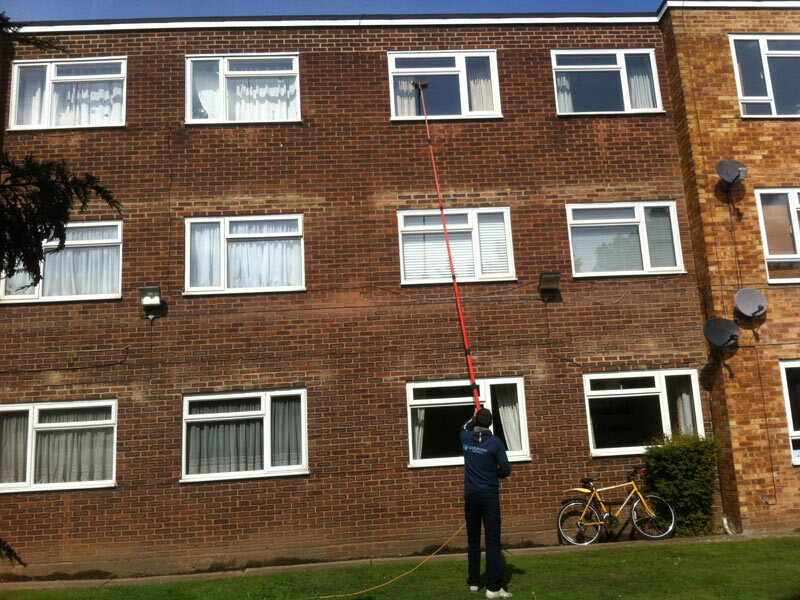 On average you can save over 40% of your total cleaning costs by using the Reach and Wash System. 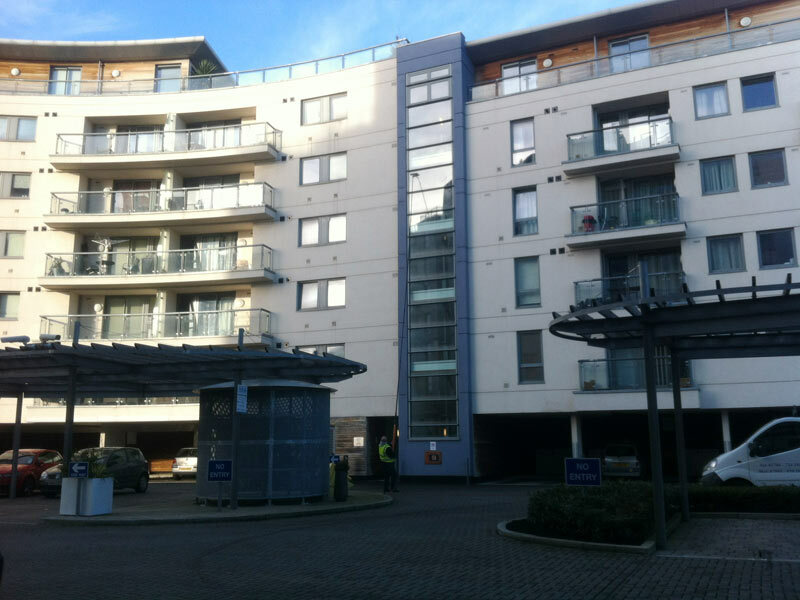 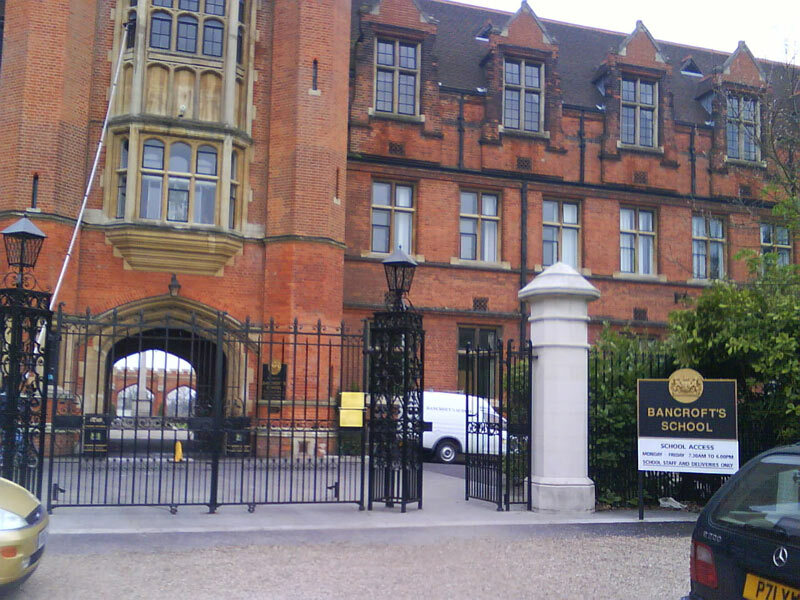 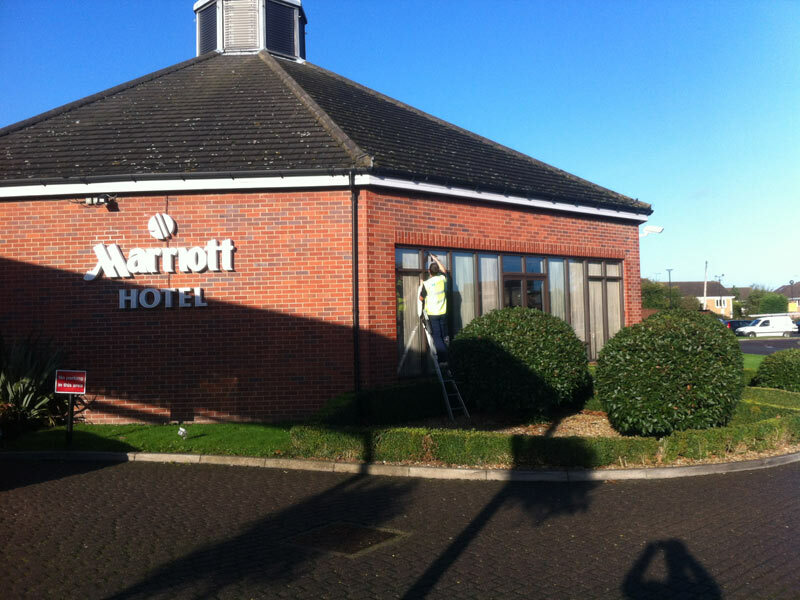 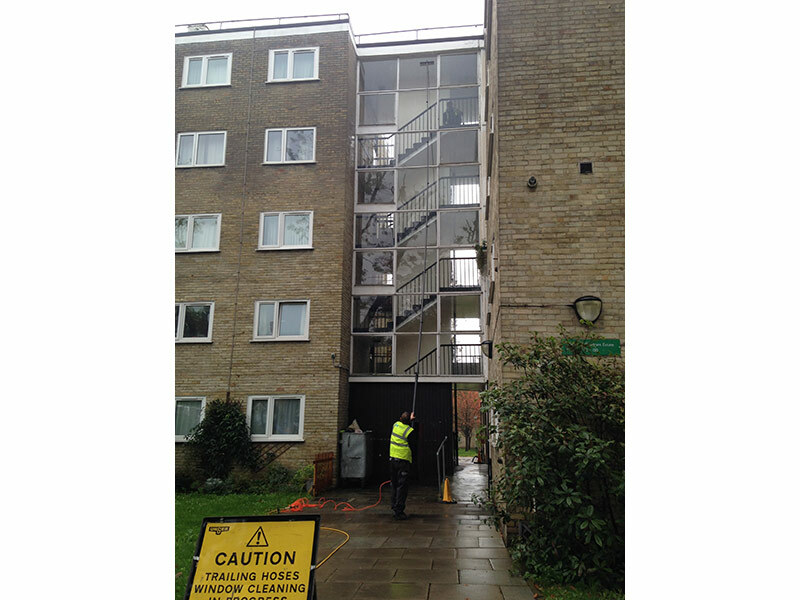 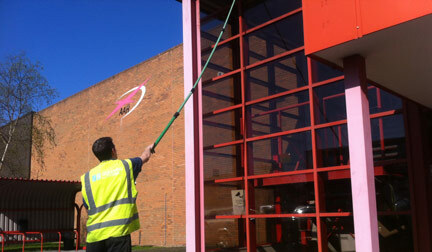 Cleans windows, facades, upvc, glass roofs, panelling and cladding. 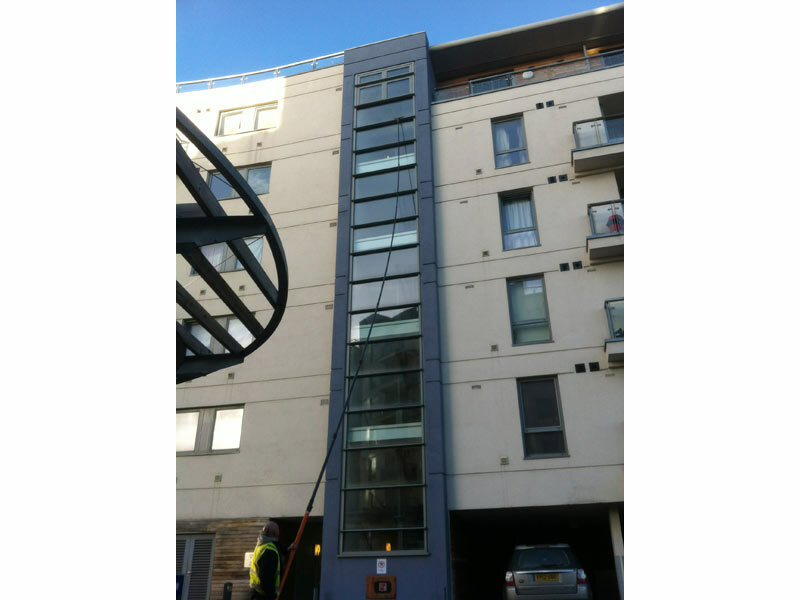 The Reach & Wash System has revolutionised the cleaning industry. 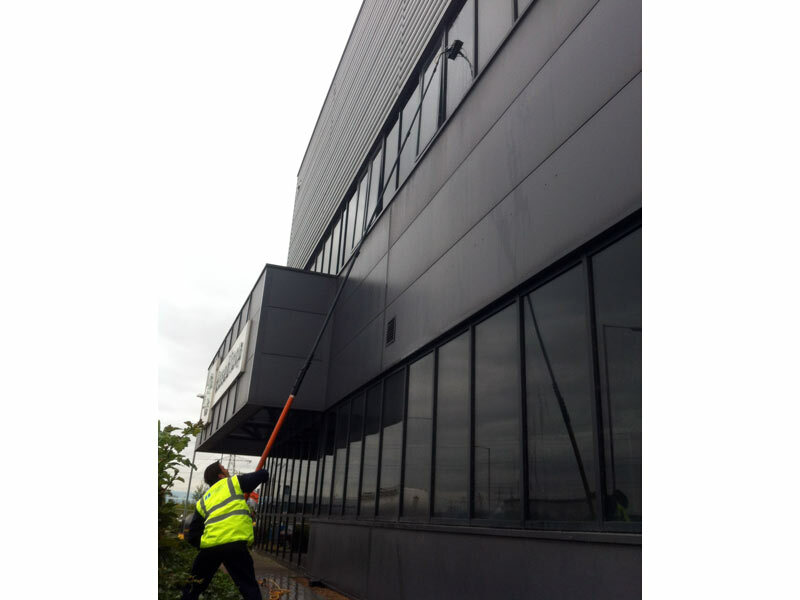 Purified water is pumped up the telescopic pole to a brush head, where it is jetted under low pressure onto the glass, agitated to remove dirt and finally rinsed off to air dry. 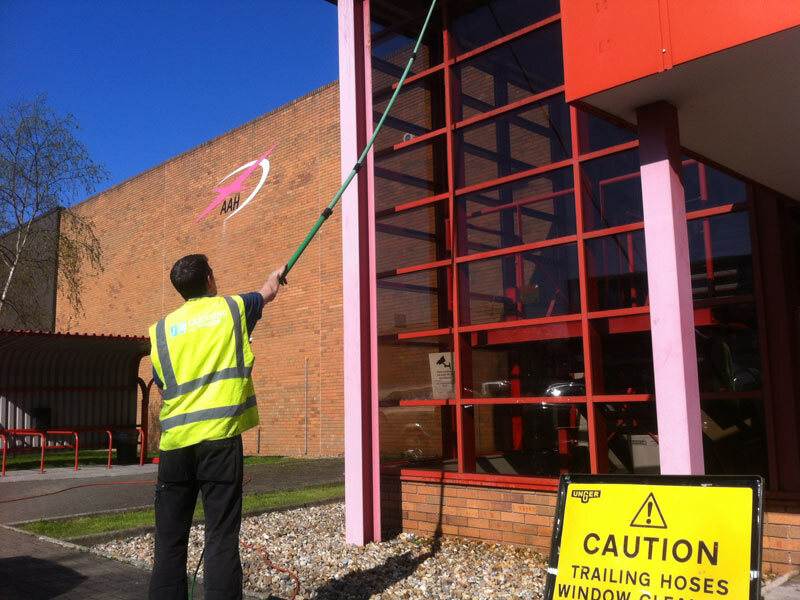 Reach & Wash is by far the safest and most cost effective method whilst at the same time offers excellent cleaning results.